When one reflects on such an artist and icon as is Dr. OLIVER MUTUKUDZI, one finds it difficult to even start writing WHAT'S ON ONE'S MIND about him. Suffice to say, TUKU, as we fondly called him, was multi-talented as an artist, indeed he was a genius at whatever he got himself to do. In sum I could say: "Whatever TUKU put his hands on turned to gold". In the film industry, his JITI and masterpiece NERIA quickly come to mind as award winners. As a Producer, many a young artist celebrities in Zimbabwe owe their success to the GENIUS. As a musician, my reader will appreciate the difficulty there is in one even starting. What with a composer and producer who has penned and voiced songs for 66, OR is it, 67 ALBUMS? Obviously that counts to more than 400 songs, all masterpieces- WHAT INGENUITY! I know good music when I hear it, and I listen to such all day long, on my phone, computer or hi-fi, at work and at play - I love music. 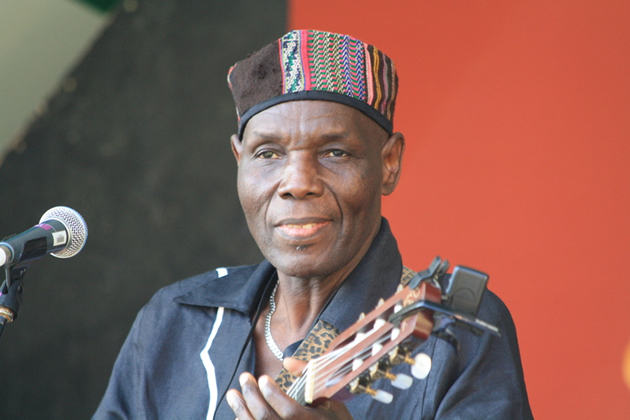 TUKU was, and still is, MY BEST musician, but about his music, some other day. What has re-played or re-presented itself on my mind since I heard of his passing on yesterday, is TUKU's HUMILITY, MAGNANIMITY, and high sense of SOCIAL RESPONSIBILITY, the latter especially, to the NON-PRIVILEDGED, greatly MARGINALISED, and DISCREETLY DISCRIMINATED AGAINST, persons with disabilities (PWDs) in Zimbabwe, particularly THE VISUALLY IMPAIRED (Blind). I remember, as if it were yesterday, when, in the year 2000, on behalf of ZIMBABWE ASSOCIATION OF THE VISUALLY HANDICAPPED (ZAVH), I asked OLIVER MUTUKUDZI, (He was not DOCTOR then) to come and help ZAVH with fundraising. HE OBLIGED! I was shocked, because I half did not expect such an international icon and legend to come down to Masvingo and give all of himself and his excellence in art, to us, the VISUALLY HANDICAPPED of a forgotten city. TUKU indeed came to ZAVH, and did four (4) shows, one each in Mashava, Mucheke Stadium, Civic Center and Nemanwa Growth Point. The shows were all fully subscribed and all tickets were sold out for all the four (4) shows. ZAVH also sold braai meat, drinks and snacks at the shows. From collections made TUKU only asked for refunds for accomodation and transport costs for his band and gave us his expenditure receipts at our offices for accountability. He donated the rest of the funds to ZAVH, and I remember, yes I remember, the surplas was more than 200% what we refunded him with for cost. I was greatly humbled by his HUMILITY and MAGNANIMITY. ZAVH is what it is today, a PROPERTIED organisation, a lot because of Dr OLIVER MUTUKUDZI's financial contribution. TUKU, your LEGACY will never die, as the visually impaired in general, and as ZAVH in particular, we will always LOVE you, REMEMBER you, and BOAST of you as ONE OF US. "AMAI NDIRI BOFU" (ini pane rino pasi.... Chinditungamirirai Mambo mune rino pasi...) a HUMBLE surrender and submission of oneself to our GOD, the OMNIPOTENT CREATOR. "WHO IS A HERO"? Need me answer Doc? You, TUKU, ARE MY HERO! You, TUKU, ARE OUR HERO!!!! Now that His Excellency, The President Of Zimbabwe, and the NATION as a whole, have declared you, (the ONLY musician to be conferred with such a status) A NATIONAL HERO - I am vindicated. May our GOD, The FATHER, rest YOU in eternal peace, my TUKU, MY HERO, OUR HERO - IQHAWE LAMAQHAWE! GAMBA REMAGAMBA!!!!!! !